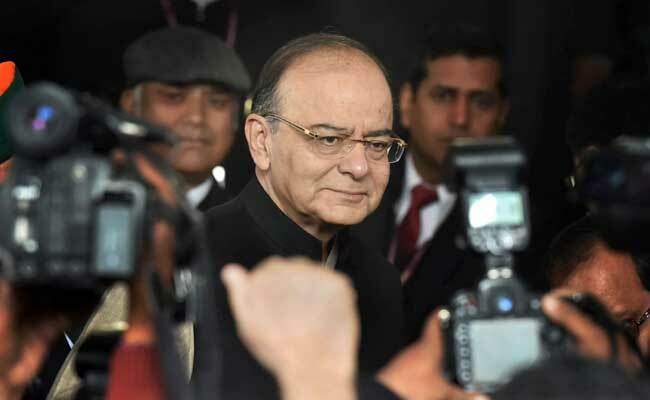 Finance Minister Arun Jaitley said JAM (Jan Dhan, Aadhaar and Mobile) offers substantial benefits for government, the economy and especially the poor. Arun Jaitley said JAM (Jan Dhan, Aadhaar and Mobile) trinity has ushered in a social revolution. "Within reach of the country is what might be called the 1 billion-1 billion-1 billion vision. That is 1 billion unique Aadhaar numbers linked to 1 billion bank accounts and 1 billion mobile phones. Once that is done, all of India can become part of the financial and digital mainstream," he said. In a Facebook post on the third anniversary of the Pradhan Mantri Jan Dhan Yojana (PMJDY), he said, "Just as GST created one tax, one market, one India, the PMJDY and the JAM revolution can link all Indians into one common financial, economic, and digital space. No Indian will be outside the mainstream." Noting that JAM is nothing short of a social revolution, the Finance Minister said it offers substantial benefits for government, the economy and especially the poor. Highlighting the benefits, he said the poor will have access to financial services and be cushioned against life's major shocks while government finances will be improved because of the reduced subsidy burden and weeding out of leakages from the system. Currently, the government makes direct transfer of Rs 74,000 crore to the financial accounts of 35 crore beneficiaries annually, at more than Rs 6,000 crore per month. These transfers are made under various government anti- poverty and support schemes such as PAHAL, MNREGA, old age pensions and student scholarships, he said. Talking about seeding of Aadhaar with bank accounts, the Finance Minister said today about 52.4 crore unique Aadhaar numbers are linked to 73.62 crore accounts in India. "As a result, the poor are able to make payments electronically. Every month now, about 7 crore successful payments are made by the poor using their Aadhaar identification," he said. Besides, he said, with the launch of BHIM app and the Unified Payments Interface (UPI), JAM has become fully operational. "A secure and seamless digital payments infrastructure has been created so that all Indians, especially the poor can become part of the digital mainstream," he said. Giving details of achievements of the scheme over the last three years, the Finance Minister said total PMJDY accounts opened increased from 12.55 crore in January 2015 to 29.52 crore as of August 16, 2017 while the number of RuPay cards issued increased from 11.08 crore to 22.71 crore in the same period. At the same time, the number of rural accounts opened under PMJDY has grown from 7.54 crore to 17.64 crore and the average balance per account increased from Rs 837 to Rs 2,231 as of August 16. Mr Jaitley said the total balance in beneficiary accounts rose to Rs 65,844.68 crore while zero balance accounts declined from 76.81 per cent in September 2014 to 21.41 per cent in August 2017. In addition to financial inclusion, he said, the government has taken steps to provide security to the poor via life insurance under the Pradhan Mantra Jeevan Jyoti Bima Yojana (PMJJBY) and accident insurance Pradhan Mantra Suraksha Bima Yojana (PMSBY). As on August 7, total enrolment was 3.46 crore under the PMJJBY and 10.96 crore under PMSBY with 40 per cent of the policy holders being women in both the schemes. PMJDY, launched on August 27, 2014 by Prime Minister Narendra Modi, was aimed at providing financial services to the poor. These included opening bank accounts for the poor, giving them electronic means of payment (via RuPay cards), and placing them in a position to avail themselves of credit and insurance. "The vision underlying it was, of course, much broader: nothing short of ending the financial, and hence economic, digital and social exclusion faced by India's poor. India's poor would not only be able to overcome their economic deprivation but they would also become an integral part of the social mainstream," he said.